Karachi Backwaters is the story of a young boy and his love affair with boats, it is a story of hope and failures, of his adventures, it is a story about dreams and their realization, of friendships and parting of friends, of adolescent infatuations, it is a story about the city of Karachi, of boating, fishing and crabbing, of sweet memories, dinners, outings and good food, of stolen cigarettes and veiled puffs amid laughter and fun, it is a story that leaves the reader mesmerized, while in between the lines one can read the nostalgia the author has experienced while writing this book. 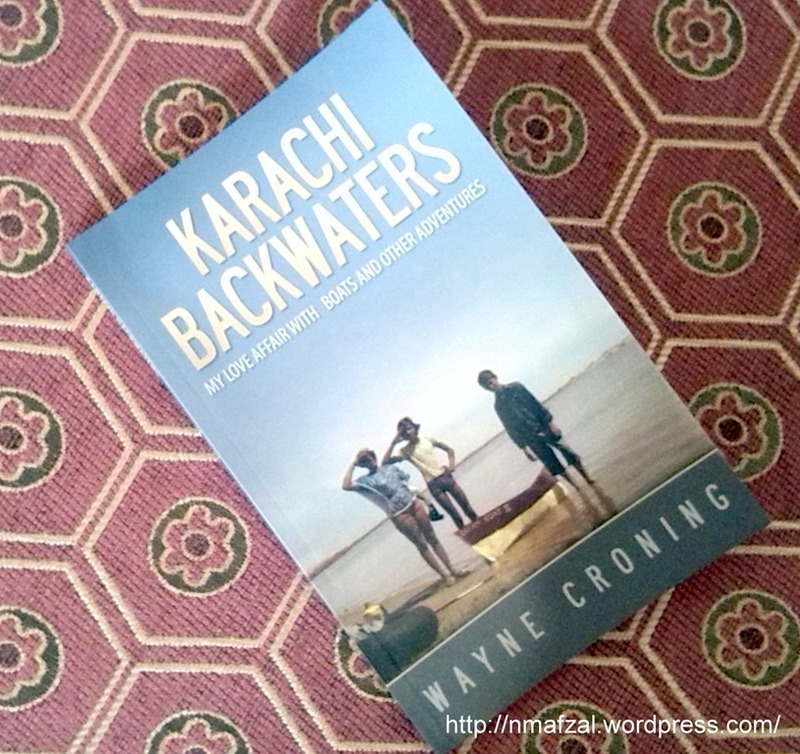 Karachi Backwaters is a true story, written in a very informal manner. The author describes how he and David’s (his best friend) families used to go for fishing and crabbing trips around Karachi. During these outing Wayne developed an interest in boats and this resulted in him and David building a boat. The story is simple yet very interesting, as each boat they build gets better and bigger. With failures they gain knowledge and build better boats. There’s the very first Dreamboat One, then Dreamboat Two, the Pillow Boat and the Flat-bottomed one. In between, there’s talk of stealing cigarettes from their parents and taking puffs in hidden places. Then there’s love, as is wont to happen to a teen ager. There’s jealousy and fun, and adventures in between. Wayne Croning has dedicated this book to his best buddy David who passed away some years back. The Karachi described in the book is the city which people once knew as a modern, progressive and peaceful city. A city where life existed without malice towards others, a city that was model for all cities of Pakistan. Though the author does not write about this, but this is something which is evident in between the lines. Adolescents nowadays cannot imagine going out late at night, whether attended or unattended. 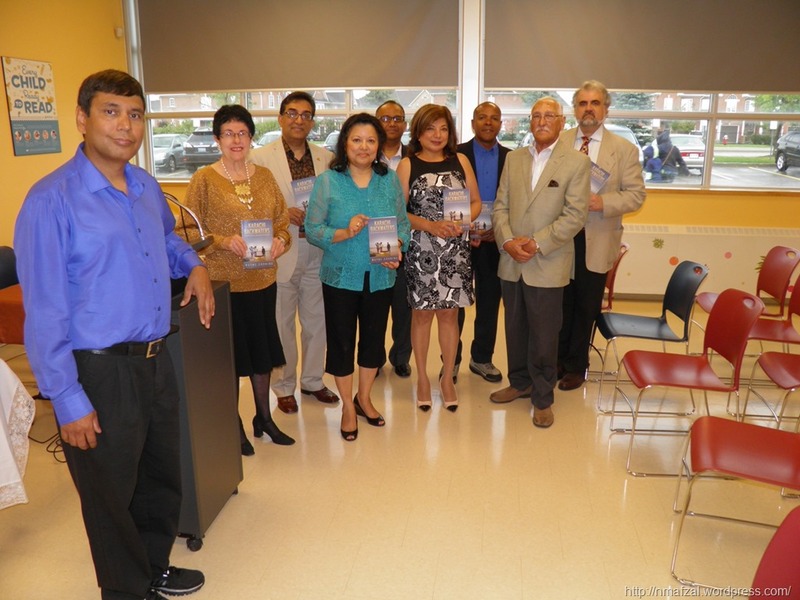 The author at his book launch ceremony. Great Book Review of “Karachi Backwaters”. A must read for me. Many thanks. If you are from Karachi you will love it even more! Thanks for doing this Nauman. I would love to read this book Wayne. Karachi was a very safe and wonderful place to grow up in at that time. It is a good book. Please do read it. Its a good book. You will love it. would you be kind enough to share some thoughts on the “Old Karachi”. I remember coming to this city when I just 7 but that’s all very hazy. same to you Nauman. sorry for seeing this so late. Also a belated Eid Mubarak to you and your family.